INDUSTRY.co.id - Jakarta, Indonesia with the country with the largest Muslim population is not necessarily instantly equated that every rule imposed in this country, identical with the application of Islamic law and norms. At least this can be seen from not easy to invite all Muslim communities in the country to run and implement sharia-based economic system in their daily life. Despite the fatwa issued by the Indonesian Ulema Council (MUI) in 2009, there has been no significant switching or shifting use of Islamic financial system in the country. Just informed, in 2009 ago, through Decision Fatwa Majelis Ulama Indonesia Number 1 Year 2004 on Interest or intersat or fa'idah, mentioned that the current money flowering practice has met the criteria of usury that occurred in the time of Rasulullah SAW, namely Riba Nasiah. Thus, this flowering practice is one form of Riba, and Riba Haram Hukum. Practice The use of such laws is haram, whether performed by Banks, Insurance, Capital Markets, Pawnshops, Cooperatives, and other Financial Institutions, or conducted by individuals. Riba itself is the determination of interest or excessive amount of the loan upon repayment based on a certain percentage of the principal amount borrowed to the borrower. And Islam prohibits its people from borrowing and borrowing funds by applying interest. In the last decade, the Islamic finance industry is very difficult to achieve a portion of at least 5% compared to the conventional financial industry. The problem is the Muslim community in the country is still dominated by the profiles of people who still count with the return on their savings. So far the Islamic finance industry is still not able to equate the level of returns that their colleagues can offer in conventional business. The issue of service and the availability of sharia service branches is still considered below the average quality of conventional financial services, contributing to the 'emohnya' of most Muslim public to switch to sharia financial system services. But entering the year 2017, there is a bright spot that the Islamic finance industry including sharia banking began to get a bigger place in the minds of the domestic public. This can be seen from the report submitted by the Head of Capital Market Supervisory Department 1B Financial Services Authority (OJK), Sugianto last October in Bogor. According to Sugianto, as of August 2017, total sharia financial assets of Indonesia (excluding sharia shares) has reached Rp 1,048.8 trillion, consisting of sharia banking assets of Rp 389.74 trillion, IKNB (non-bank financial industry) , 15 trillion, and syariah capital market amounting to Rp 559.59 trillion. "The amount is compared to the total assets of the financial industry which reached Rp 13,092 trillion, and then the market share of Islamic finance industry has reached 8.01%," said Sugianto in his statement some time ago. Currently, the sharia banking industry has been enlivened by 13 sharia banks (BUS), 21 sharia banking units, and 167 Rural Banks (BPR) sharia. The total assets of the sharia banking industry amounted to Rp 389.7 trillion or 5.44% of the total assets of the national banking. 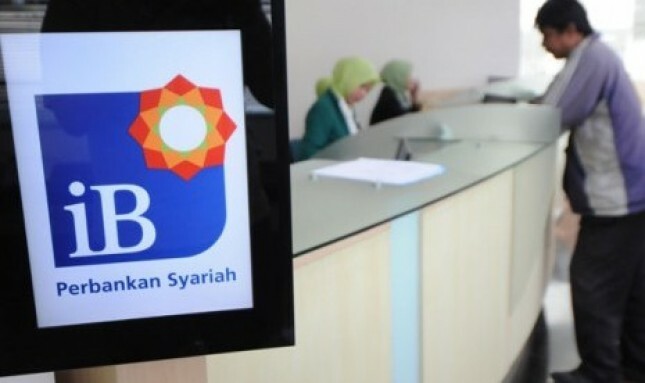 Meanwhile, IKNB Syariah is now also affirmed by 59 sharia insurance, 38 sharia multifinance, six Islamic guarantee, 10 Islamic Micro Finance Institutions (LKM) and 10 other IKNB Syariah, with total assets reaching Rp 99.15 trillion or 4.78% of the total assets of national IKNB. Sugianto said, OJK targets an increase in the number of consumers or investors of sharia financial products, and increasing public awareness about sharia financial products and services. "We believe that the Islamic finance industry is able to grow sustainably and play an important role in the national economy, both to fulfill the people's demand for the products and services of the Islamic finance industry, as well as to meet the national development needs, especially infrastructure development," Sugianto said. In the banking industry, asset achievement of up to 5% compared to conventional assets is not an easy matter. Since the founding of Bank Muamalat as the pioneer of sharia banking in Indonesia in 1991, towards the composition of 5% sharia asset versus conventional running drag. In addition to the lack of dissemination in the community, the performance of Muamalat at that time also not enough to make the public interested. Just after the economic crisis, Bank Muamalat as part of the sharia financial industry began ogled customers.